We have all experienced a driver suddenly changing lanes, cutting you off barely missing the vehicle. Not only is this dangerous, it is against the law in Florida. Changing lanes carelessly is one of the leading causes of road rage and of car accidents in the United States. We are committed to holding careless drivers responsible when they cause an accident by improperly changing lanes. What Are the Most Common Causes of Lane Changing Crashes? 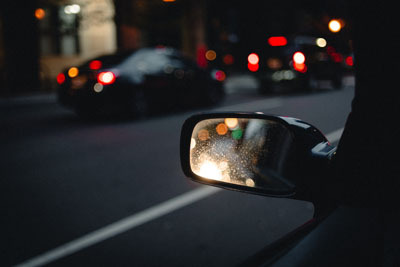 According to a report by the NHTSA about nine percent of all vehicle accidents in the U.S. are caused by a driver changing lanes or side swiping another vehicle. Most of these collisions cause serious injuries because they often occur at high speeds and the driver is caught off guard and unable to avoid the crash. Our law firm represents those injured in car accidents that are caused by a negligent driver changing lanes. All too often the victims of this type of accident sustain serious injuries because they usually occur on the highway or when someone is speeding. Car accident attorney Jim Dodson has 25 years of experience helping victims like you recover compensation for their medical bills and their vehicle. We offer a free consultation and if we don’t settle your case, you will never have to pay us. Contact us online or call us at 727-446-0840 or fill out the form on this page. We are here to help you.